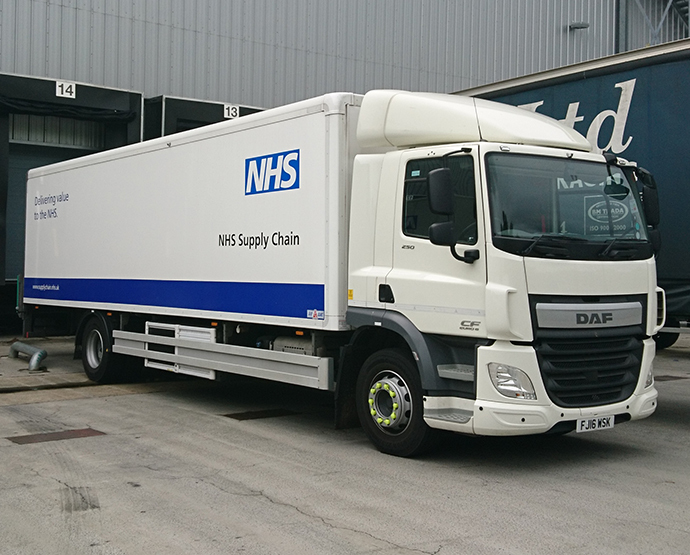 NHS Supply Chain opened a cross dock facility in our warehouse in Enfield. NHS Supply Chain provides patient-focussed healthcare products and supply chain services to the UK’s National Health Service (NHS). Their end-to-end supply chain services incorporate procurement, logistics, e-commerce as well as customer and supplier support. The picked goods for London hospitals, clinics, health centres and general practitioner surgeries are transported via double deck trailers from the NHS Supply Chain’s regional distribution sites, based in Rugby, Bury St Edmunds and Maidstone, and consolidated in Enfield for the final mile. Sony DADC’s service includes the operating space (floor space, yard space and loading bays) as well as an on site office in the area of operation. Furthermore we provide security coverage and assist in vehicle unloading when required.